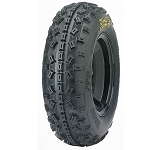 - ITP Mud Lite ATV tires are sold individually. - Click here for larger sizes of the ITP Mud Lite. - Tread depth varies by size, see chart below. - Revolutionary all-conditions tire designed for the trail, a trail tire that slings mud with the best of them! - Cutting-edge technology, all-around performance and long-distance durability come together in one unbeatable, affordable package! - Unique center tread contact area provides a smooth, radial-like ride. - Perhaps best of all, the Mud Lite is priced right. Shop and compare-you won't find a tire that's lighter, tougher or more capable at such a reasonable price! Bought these (the AT's)for my step daughters Kawi Bayou 300. As soon as I mounted them I went to a deep mud hole I have in the back of my property and crawled right through it. I would've had to spin the hell out of her old TSL's to make it through the same hold. Love these tires and they look great. I love them so much I'm going to order the XL's for my RZR. I really love these tires. They grip really good and are a good value. They work great in the sand and in the dirt and rocks. I would definately buy these again. 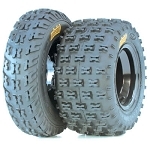 Extremely well priced, Fast Shipping and an Excellent Tire over all! Great doing Business with you Folks! Great prices and wheels and tires. Second set purchased from Pure Off Road. first off if you havent ever purchased anything from this company like i hadent before these tires rest asured there reliable and the shipping is super fast. as for the tires i had done research before i bought them so i knew what i was getting. there arrived fast and were exactly what i had expected. these tires get excelent traction in myd as well as snow. they also hold up quite well. Love the tires. Very fast shipping. 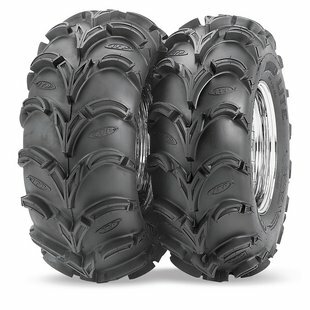 I ordered a set of ITP tires and wheels to go on my Honda Rancher. The service from Pure Offroad was phenominal!! Absolutely the quickest shipping I have ever received from an online retailer. When I called the customer service was great. I will definitely do business with them again!! Great tires for a great price. OUTSTANDING service. Ordered tires on Sat evening recieved them Tues afternoon. Very impressed. 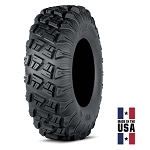 the itp mudlite is buy far the most versatile all terrain tire for the money, i am constantly being impressed by the traction that they offer. Customer Service was great! My son loves his new tires...thank you! Q: does the tire come with a wheel? A: No, It's just the tire. We carry wheels to go with them but they are sold separately. Q: I have a 2000 Kawasaki 300 bayou 4x4, I believe tires are 22x8x11, will the mud lite 23x8x11 work on that vehicle? A: Yes they will work on your machine. They will just be 1 inch taller.